The randjes of this week are simple and lovely. The free graph for these edges are here. 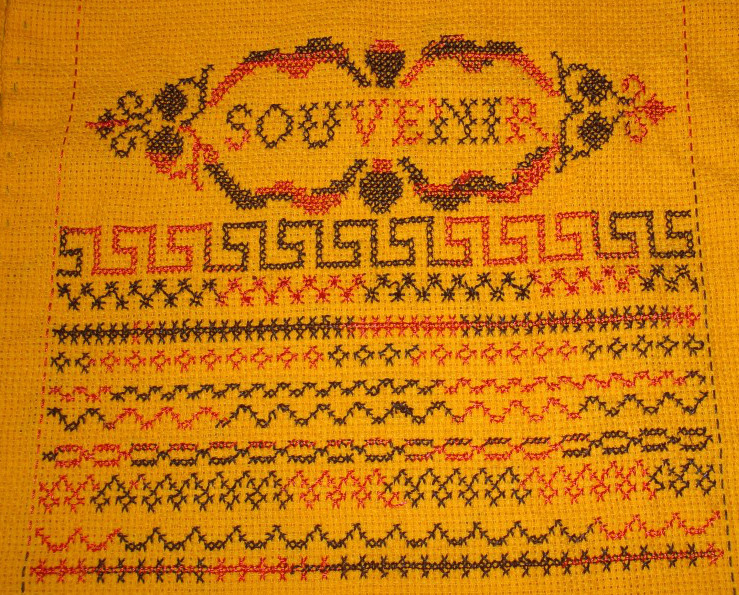 My sampler after working this week’s edges. 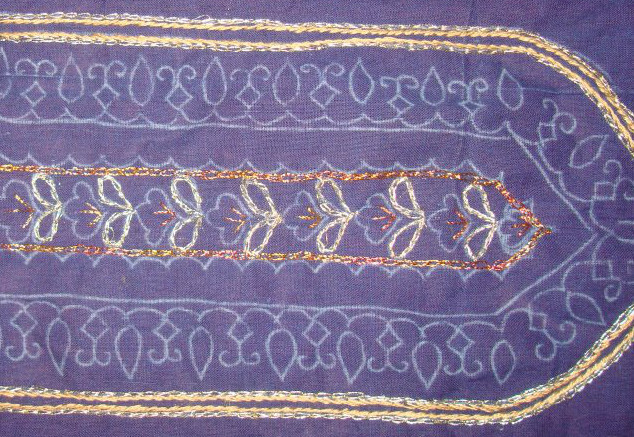 This week’s edges also were inspiration for kutchwork borders. 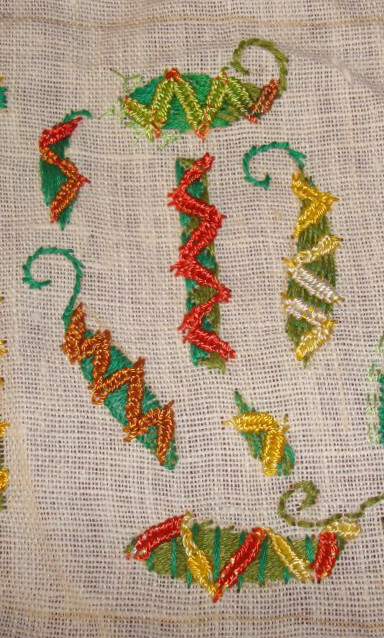 The instructions, patterns for these kutchwork borders are here. Two versions kutchwork border # 10. 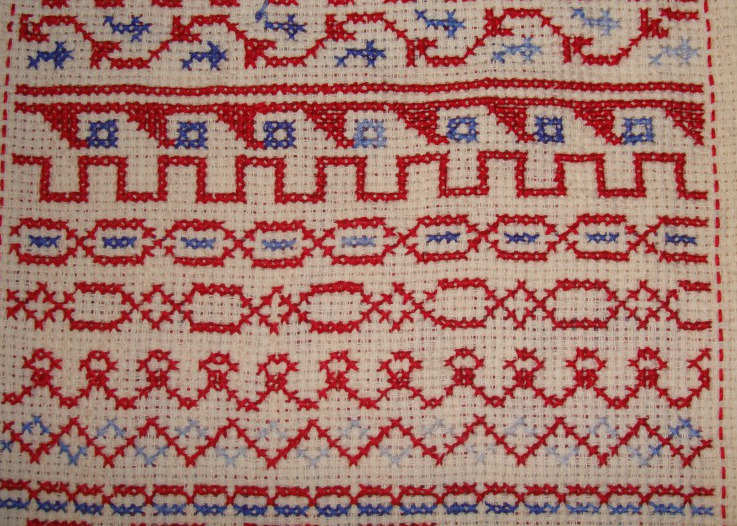 The kutchwork sampler inspired by these randjes. Working on these randjes has been different this year. 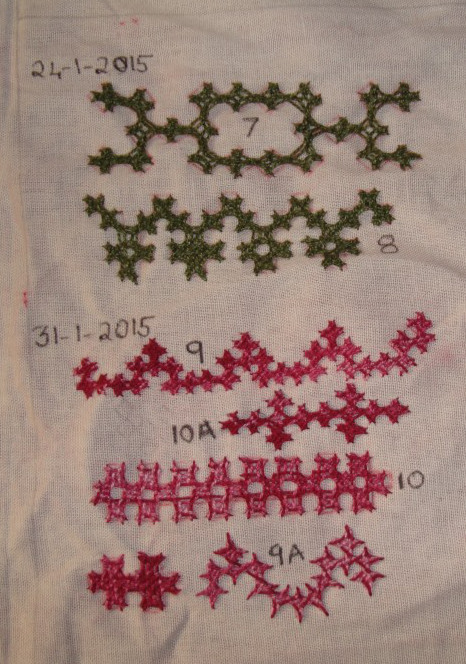 Whenever these graph patterns are posted, I see the potential for kutchwork. 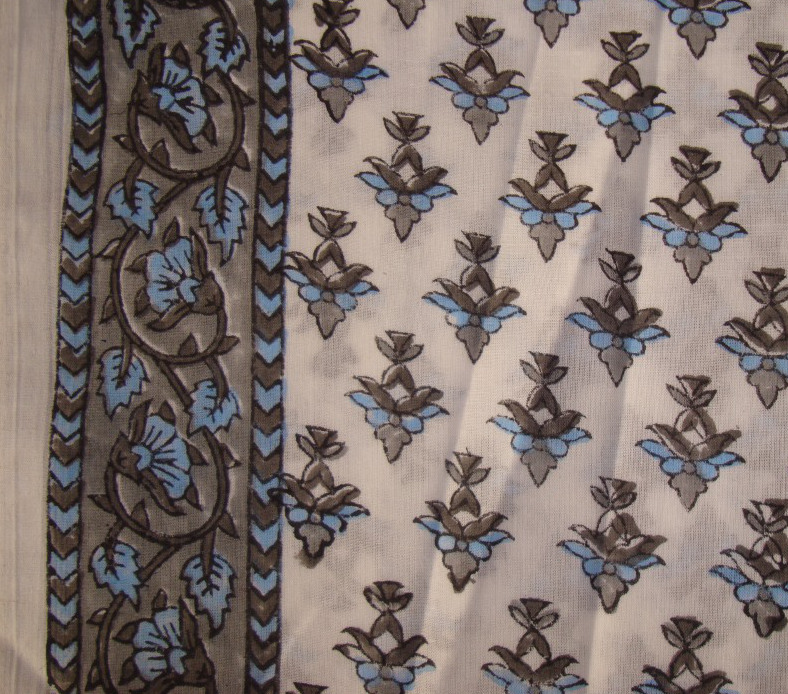 Designing kutchwork patterns started long time ago. 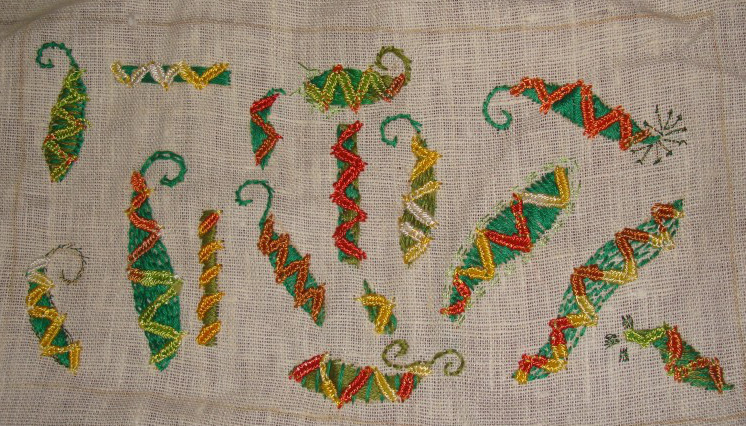 The enjoyment in drawing these kutchwork patterns are surpassed by the working the same patterns. 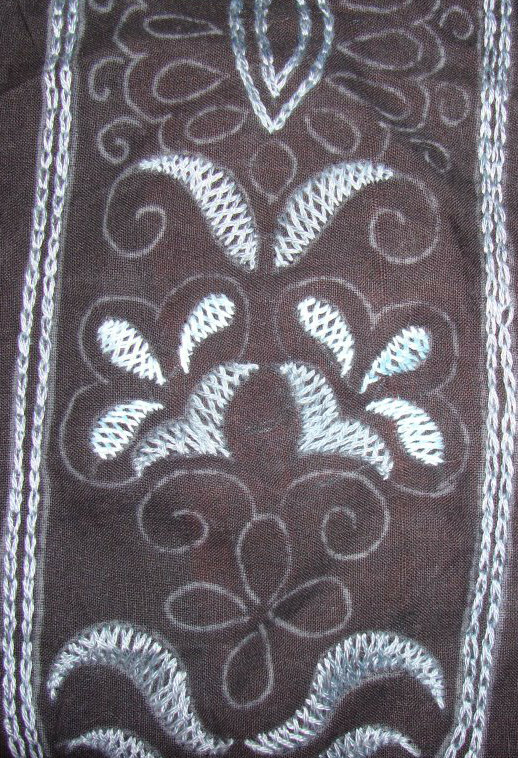 Each and every pattern seems to have its own unique path of anchoring stitches and interlacing. 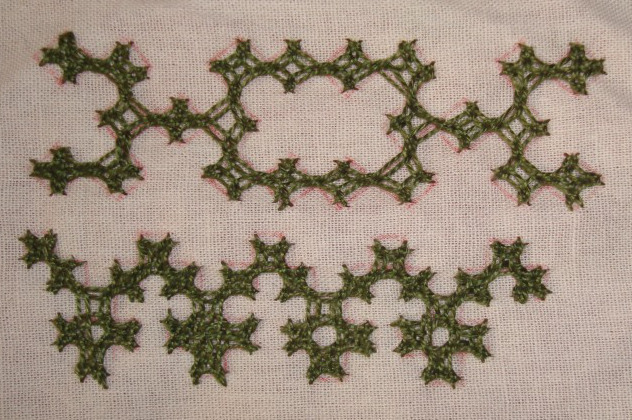 Coming back to the randjes, this week’s free graph pattern is posted here. The completed 7th and 8th randjes. 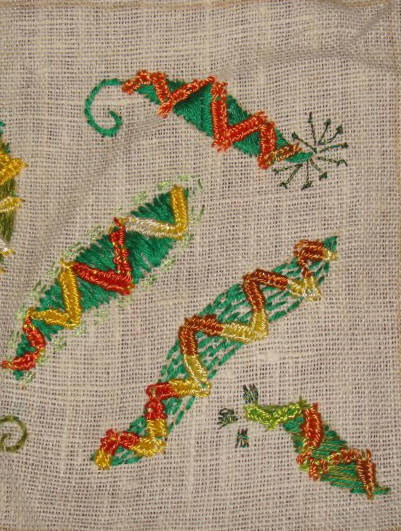 The kutchwork borders inspired by these randjes. 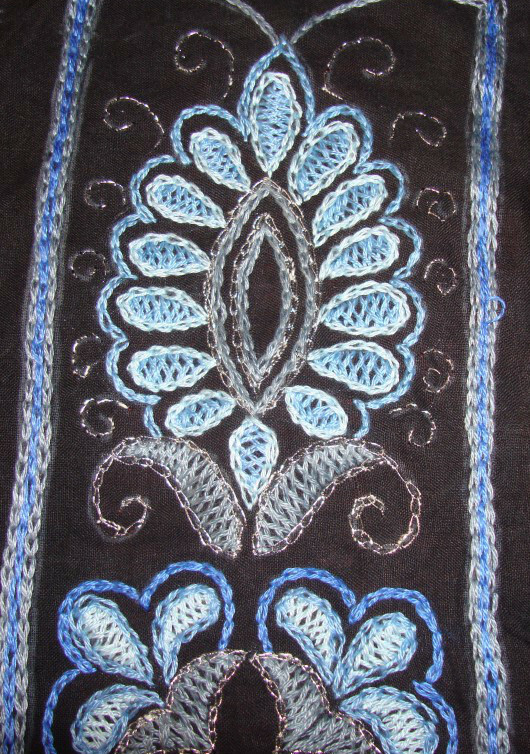 The pattern for these borders and some steps are posted here. The randjes which were started in Randje per week challenge in 2014 need to be completed. These edges were done during this week. The TAST challenge was completed. 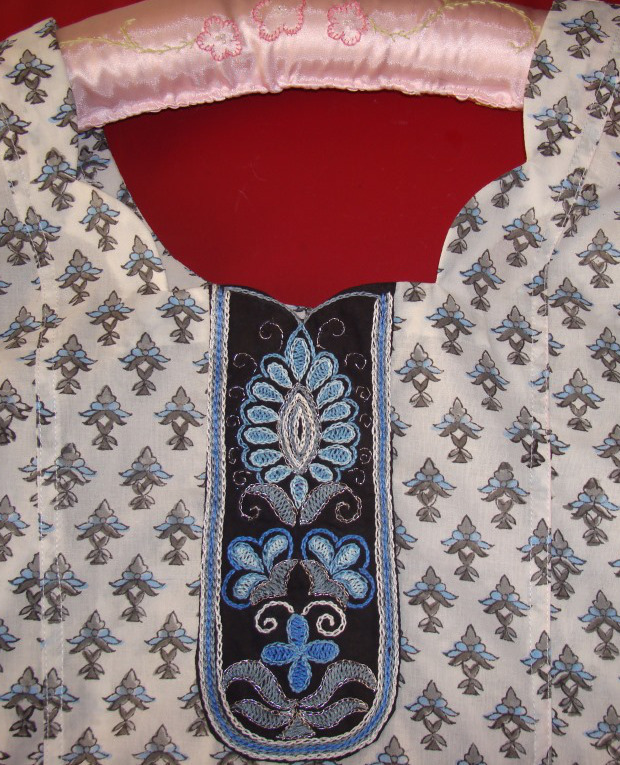 It is time to start designing, drawing patterns for embroidery on tunics. 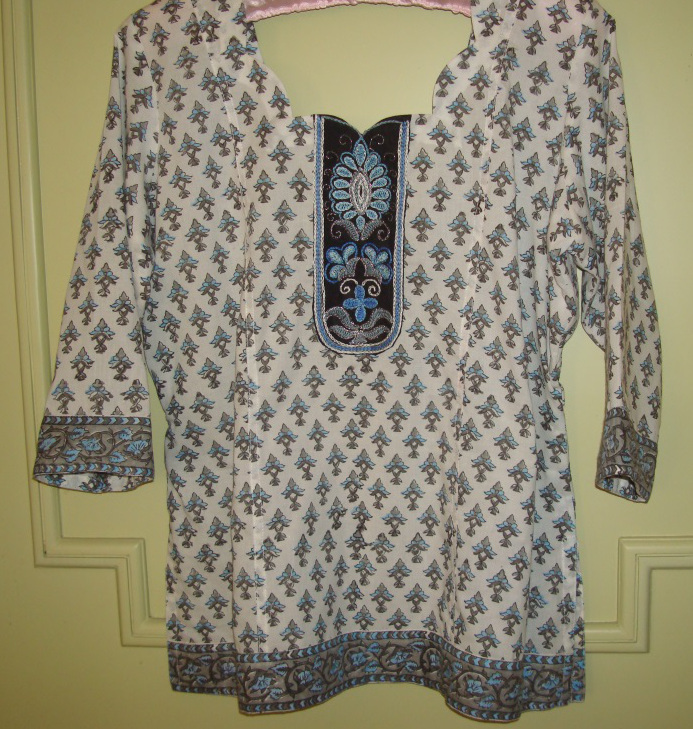 The first tunic this year is bluish green woven crepe fabric. 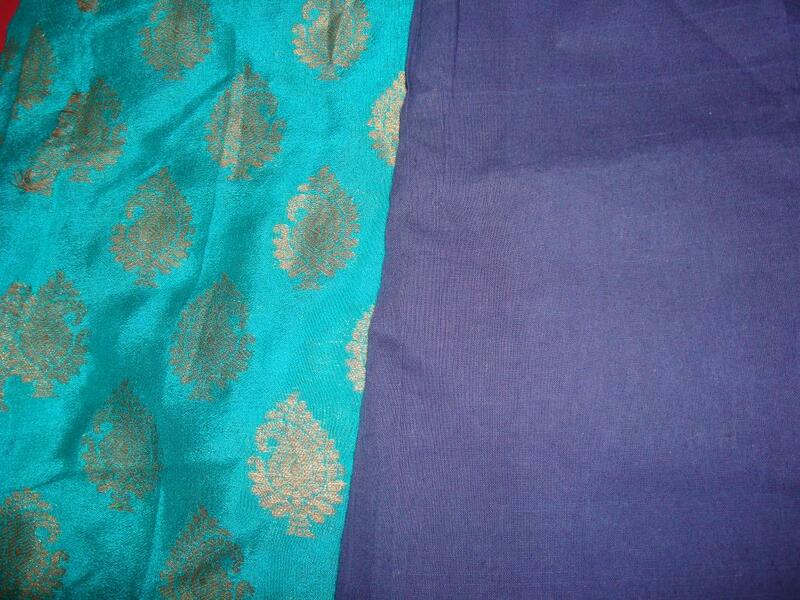 The Indian embroidery with stones and metallic threads will be done in this dark blue fabric. 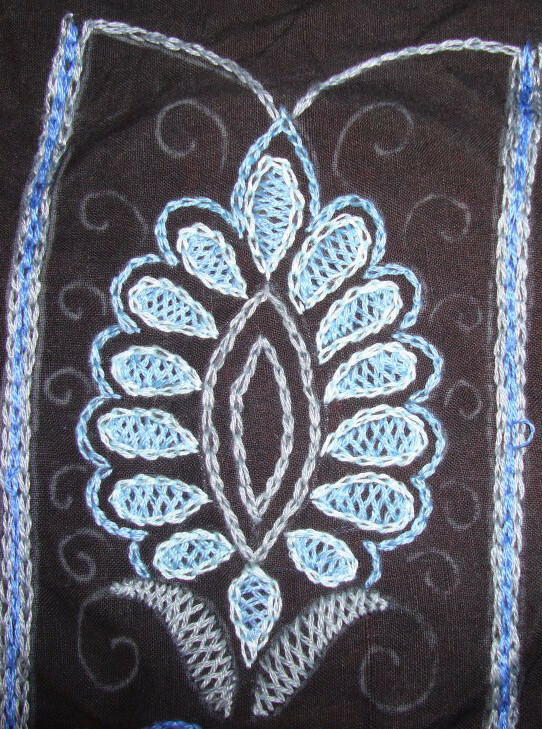 The pattern is drawn and traced. Hoping to start this project tomorrow. It is not easy to think of variations of these woven chain bars. 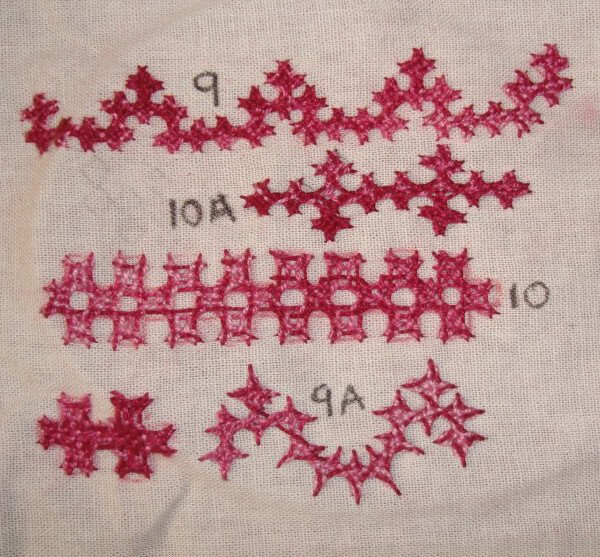 I changed the angles of the zigzag chains, worked v-shaped stitches and alternated the colours. 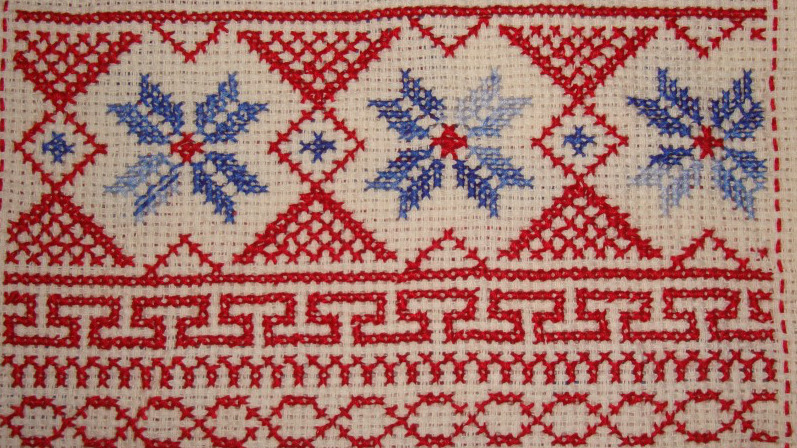 This is the last stitch on 2014 TAST challenge, this creates an excitement to complete this sampler as fast as possible, the stitch by its nature is not cooperating LOL!